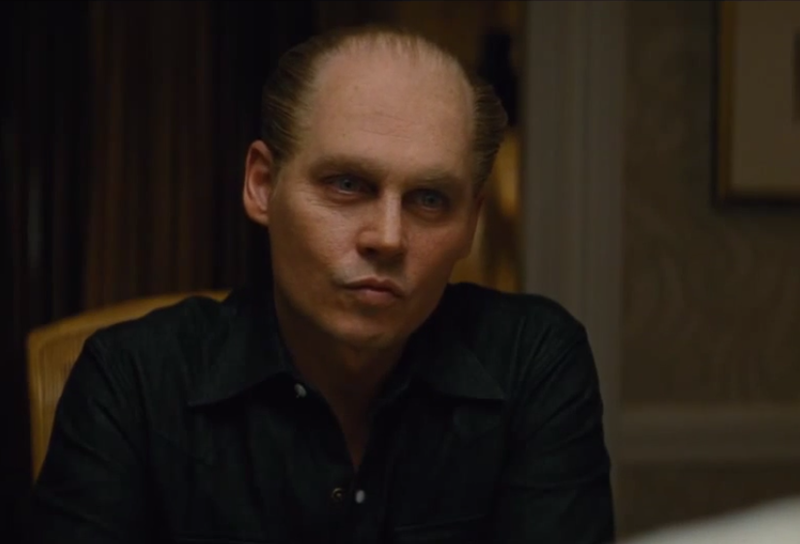 Johnny Depp stars as Whitey Bulger in the upcoming film "Black Mass" (due for release on 18 September 2015). Whitey Bulger is an infamous former organized crime figure from South Boston and currently serving two consecutive life sentences plus five years on multiple charges including racketeering and involvement in 11 murders. In the above film trailer during the 0:44 - 0:45 and 0:48 - 0:50 segments, Johnny Depp displays a very good (although dramatic) acted example of a "Loose Forward Lip Purse" nonverbal sign (in distinction to a "Tight Lip Purse" or a "Lateral Lip Purse" which both have different meanings). This body language has associated with it, a very specific and profoundly valuable set of thought-emotions. It signals a clandestine disagreement and/or a clandestine plan. In other words - they are voicing little or no disagreement, when they're feeling dramatic disagreement. Also, if they're telling you one plan - it's a ruse - for their intention is to use another. Those who display this signal view themselves as the alpha compared with the other(s) with whom they're communicating. They also believe they've good chance of success - and their plan bearing fruit. Take home points: A loose forward lip purse indicates a disparity (which is often extreme) between the spoken word and what is truly being thought and felt. Johnny Depp's acted forward lip purse shown here is dramatic - and most every day examples are moderate and subtle.